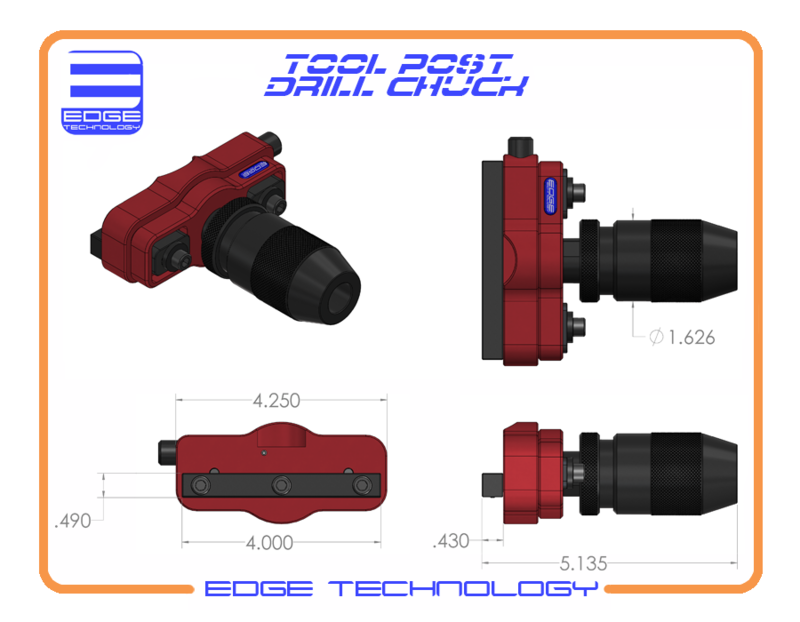 The Tool Post Drill Chuck is designed to decrease the time it takes to drill a hole on the lathe. 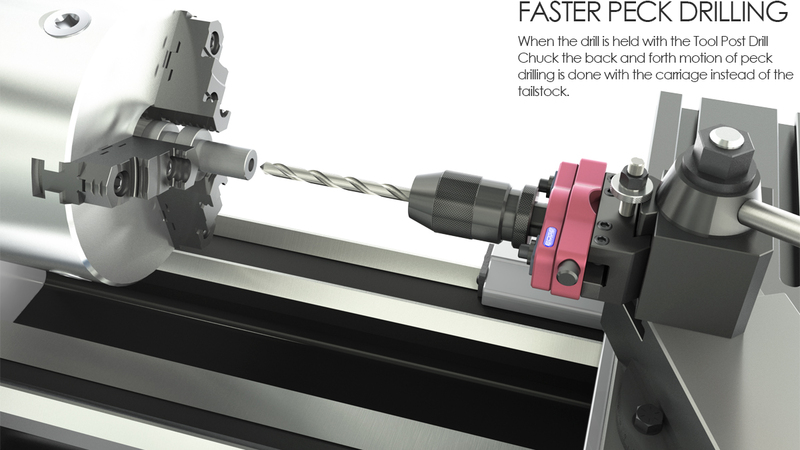 Peck drilling can be performed much faster since the drill bit is held at the tool post instead of the tailstock. Hole depths can also be monitored on the carriage DRO during the drilling process. •	Precision 1/32"-1/2" keyless drill chuck included. 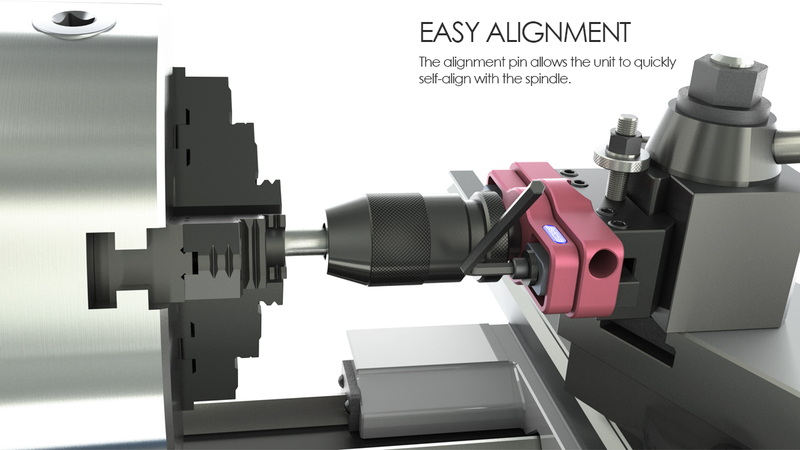 •	Precision alignment pin magnetically held in body cavity for convenience. •	Larger mounting block available. 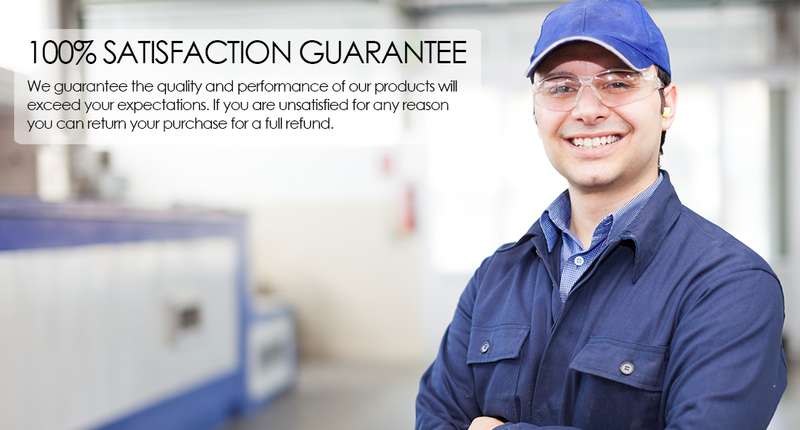 (.630" x .700") See replacement parts category for info.